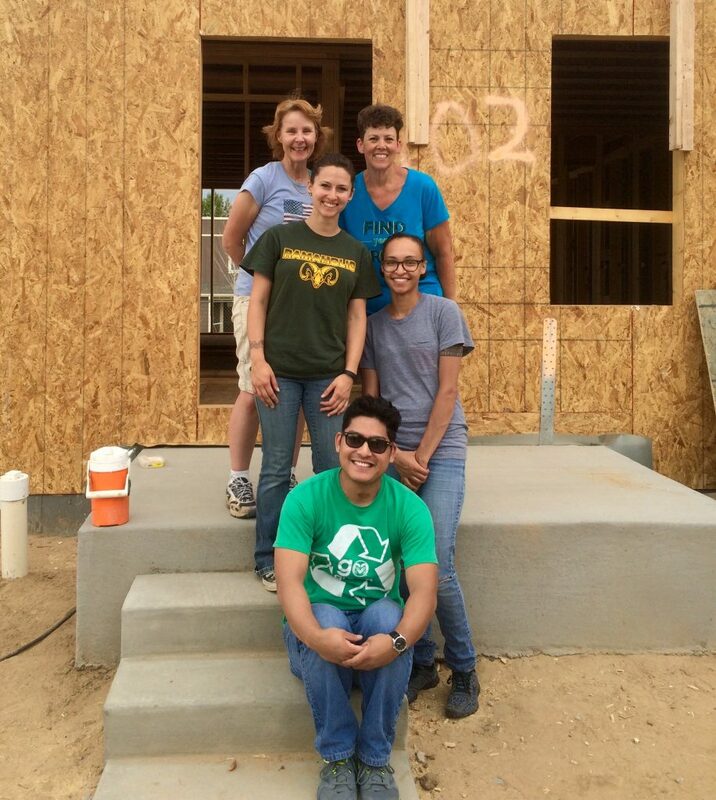 FirstBank recently sponsored a home with Habitat for Humanity of Metro Denver. 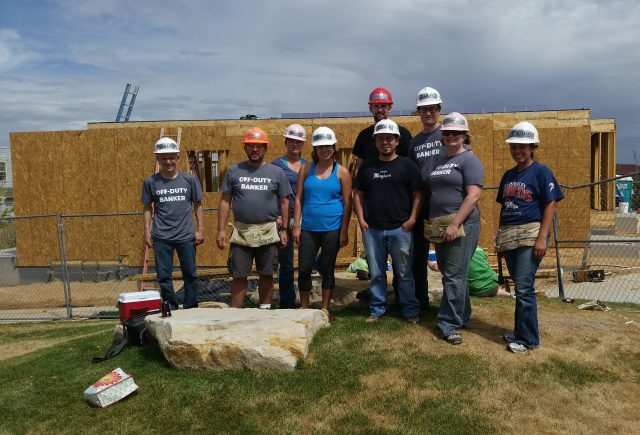 As part of our sponsorship we provided 10 FirstBank employee volunteers to help work six different shifts at the build site between August 20th and September 4th, 2015. FirstBank Officers were not eligible to participate. Our Officer group receives many opportunities to volunteer in their local communities throughout the course of the year, so we decided to limit this opportunity to staff only. Individual employees were only allowed to volunteer for one build day to allow several staff employees the opportunity to get involved. Employees who volunteered were paid for a normal work day, as each build day was during the work week. Habitat work days involve LOTS of hard work! So we warned employee volunteers to be prepared for a full day of manual labor. 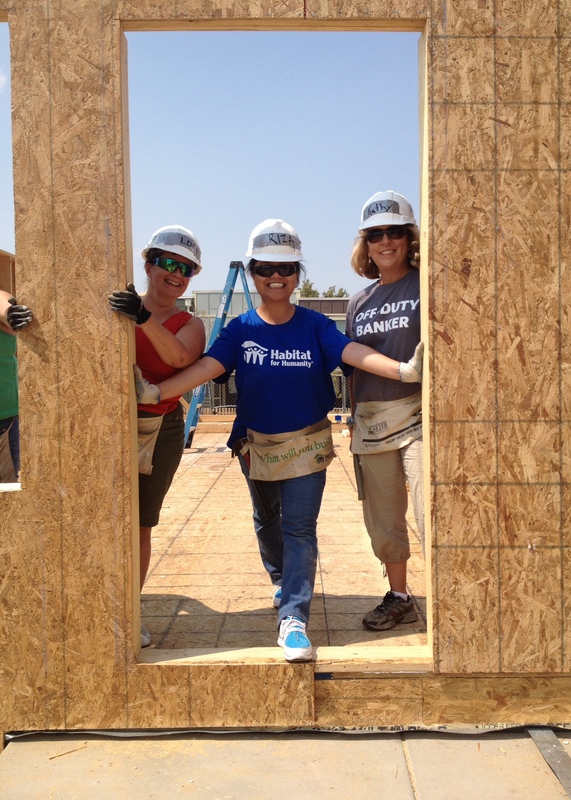 Three FirstBank employees that volunteered on one of the six Habitat work days provided a first-hand account of their experiences. 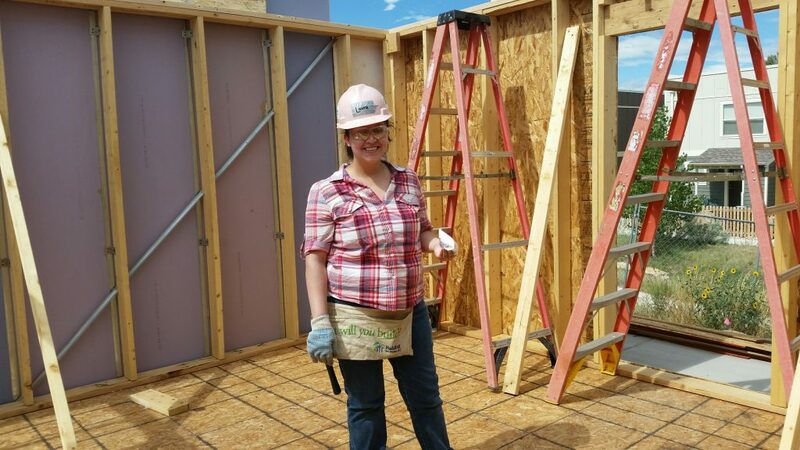 I spent today with several other FirstBank employees, as well as employees from a few other Colorado companies, volunteering at a Habitat for Humanity build in Denver. The weather was milder than usual making it a great day for working outdoors. To start the day, we were split into several groups with each group working at a different unit. Our group consisted of six people: Julie, Kathy, Lori, Shoua, Ryan and I – five ladies and one gentleman. My group ended up working with a long-time Habitat for Humanity volunteer, Jon, as our foreman. Jon was really nice and patient with us. We sawed, caulked and hammered panels for the front and back walls of our assigned unit. Half of the day was spent working on and then putting up the front wall and the other half was spent building the back wall. We were warned against horseplay in the beginning of the build. We heeded Jon’s warning but we still had some fun joking about our weak, early attempts, at hammering in gigantic nails and about how sore our muscles were going to be when we go back to work in the bank in the morning. When I was told later in the afternoon to put my hammer down, I looked up in surprise and asked Jon disbelievingly, “Are we done?” He laughed at my reaction and said, “Yes!” I said, “The day flew by!” to which Jon replied, “That’s good. It means you had fun.” I most certainly did have fun as did the people in my group of volunteers. All in all it was a hard day of work but it was very rewarding at the same time. I hope to be able to get more opportunities to do volunteer work in the near future. This was my first experience volunteering with Habitat for Humanity and I would definitely recommend that others volunteer with this nonprofit organization. We were given the opportunity to volunteer with other coworkers across FirstBank. One of the things I am most proud of as a FirstBank employee is our culture to give back to the community. 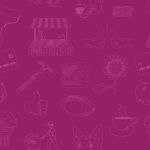 As employees we are strongly encouraged to give back to our communities and volunteer our time. Working with the teams from both FirstBank and Habitat for Humanity was an excellent team building experience. I learned a great deal about construction and the detail that goes into building a house. The full-time workers at Habitat for Humanity are patient, friendly, and knowledgeable. Each worker was sure to put safety first and provide us the right amount of training to get the work done. Working on a well-organized volunteer opportunity like this really does provide happiness to the person volunteering as well as the recipient of the Habitat for Humanity home. I have always believed that helping others in life is the most rewarding thing you can do. Habitat for Humanity is a great program that truly does not give a hand out, but allows others an opportunity to succeed in the world by giving a hand up. Volunteering for Habitat for Humanity was a great experience. I really didn’t know much about Habitat for Humanity other than the fact that they provide housing to families in need. Learning more about their mission and how the program works at the start of the day was eye opening and gave me a deeper level of respect for this amazing organization and what they do for our community. I enjoyed working outdoors and with my hands for a change and I learned some valuable new skills too – how to use a skill saw and a chop (aka miter) saw. The Habitat for Humanity crew was great to work with, particularly our supervisor Tim, who made us feel like we were pros with all of his positive support and encouragement. I honestly can’t wait to volunteer again!